Do you really love what you do, after all it's 2016? The other day, over a steaming cup of hot tea and my last mince pie of 2015, I was perusing my Facebook feed and came across a great link. It was just a vocal of Farrokh Bulsara singing, no musical accompaniment, just a voice. Listening to just the vocal gave me a completely new appreciation for 'We are the champions' and sadly for you, inspired me to write this. From a neurological perspective Farrokh's vocal had punched me hard in the Amygdala and then kneed me squarely in the Hippocampus. First the goosebumps, then that inner 'wow' feeling, finally the sadness at the loss of this passion and talent. I didn't appreciate his gift and it wasn't until a few years later I realised what I'd missed. Though that's ok, because when it comes to Freddie Mercury he is only ever a mouse click away. More importantly, having followed my initial Facebook experience up with a full scale You Tube rampage, it was seeing someone who loves what they do for work and the glorious impact that has on other people. Happy New Year! Welcome to the next 366 day chapter of our lives. I wonder how many people head to work this week, after the excess of the festive 'breather', with great imaginations and intentions of change. Intentions to do that thing they've always wanted to do. To find that passion in work again because 2016 will be different, this is the year of change. How many of those people are looking for that new challenge right now, assisted by a myriad of recruiters and job sites? How many of those people will end up with more of the same, just wrapped up in a different box because all we've done is changed company rather than the things we do each day? Should the approach not be to look at ourselves and change what we do or want to do, rather than just where we do it? Some may riposte 'Freddie was lucky, he always knew what he wanted to do' Absolutely, though it still required the investment of all of his passion, and energy into the thing he loved doing and a relentless commitment to carve a career from it. His biggest barrier was courage. The courage not to give up and the courage not to listen to those 'wiser' people who said 'don't be silly' or 'you can't do that' or 'you need to get a proper job'. Walt Disney had a similar story about being taken seriously, as did the Beatles! Many of us heard this sage advice as kids (and adults, but thats usually us telling us we can't) and maybe some of us are getting ready to pass down that same career advice to the next generation. Steve Jobs once said ' People say you have to have a lot of passion for what you're doing, and it's totally true, and the reason is because it's so hard, that if you don't, any rational person would give up' (It's well worth the 1 minute 28 seconds if you have the time to spare). So what's this all this about? Well it's about 1985, Wembley and Live Aid and a man who's passion for his job and the power that brought was obvious to the world, not just those there on that sweltering summer day. In the music profession that performance is known as 'the 20 minutes that changed music'. For Freddie he was just doing what he loved, which thankfully was also his job. It's amazing how one person can get millions of people feverishly engaged with something, when that something really seems to matter to that person. 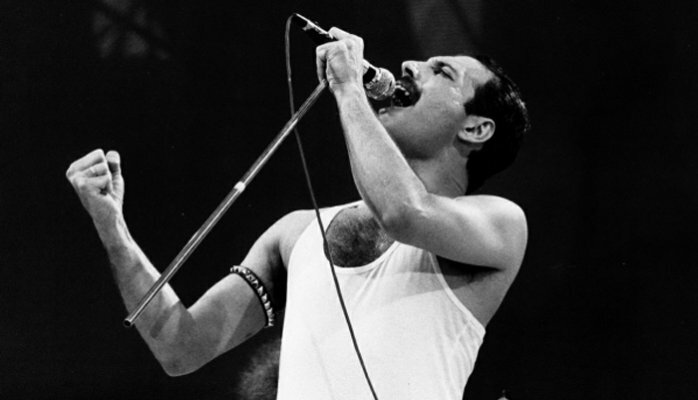 Why can't we all be a bit more like Freddie and find that passion in what we do? I guess we can, sadly it's mainly us who stop us. It's often just about reconnecting with whatever it was you fell in love with about your chosen career. Sometimes though it's bigger than that and it's about having the courage to say 'that's what I want to do, not this' and then have the commitment to get on with changing things. With that in mind I'll leave this question: Is it ever too late to stop doing what you don't want to do and start doing what you do?